Leishmaniases are cutaneous, mucocutanous and visceral diseases affecting humans and domesticated animals mostly in the tropical and subtropical areas of the planet. Host genetics have been widely investigated for the susceptibility to develop various infectious diseases. SLC11A1 gene has been reported to play a role in neutrophil function and is associated with susceptibility to infectious and inflammatory diseases such as tuberculosis or rheumatoid arthritis. In the present protocol we will perform a meta-analysis to investigate the genetic association of SLC11A1 polymorphisms with susceptibility to leismaniases. 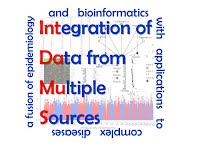 Pubmed and Scopus databases will be investigated in order to identify all the relevant publications regarding genetic association studies for the implication of SLC11A1 polymorphisms in all types of leishmaniasis. Terms that are going to be used for the search included: ‘NRAMP1’, ‘SLC11A1’, combined with ‘mutant’, ‘variant’, ‘polymorphism’, ‘SNP’, and ‘leishmaniasis’. No language restrictions will be imposed in order to avoid local literature bias. In particular we will demand that the included studies should provide an estimate for the relative risk such as the odds ratio and its variance, or a p-value, or the necessary data from which it could be calculated. Importantly, both case-control and family-based studies will be included in the quantitative synthesis. To avoid selection bias, no restrictions will be imposed in the study selection procedure regarding study design, language or other quality measure. References of the retrieved studies will be scrutinized to include additional information (articles that the query missed, or other material from the grey literature). Odds ratio (OR) will be used to test the association between the polymorphic alleles and leishmaniasis in case-control studies, along with their 95%CIs (confidence intervals). In the case of zero cells, a continuity correction will be applied by adding the value 0.5 to all cells of the contingency table. Data will be analyzed using the random-effects method with inverse-variance weights. Three different contrasts will investigated corresponding to co-dominant, dominant and recessive modes of inheritance. The between study heterogeneity will be evaluated using the chi-square based Cochran’s Q statistic and the consistency index (I2). Control populations from case-control studies will be tested for Hardy Weinberg Equilibrium (HWE) for each polymorphism. The family-based studies will be included if they are based on the well-known family trio using the Transmission Disequilibrium Test (TDT), and we will try to do the same for studies based on extended versions like the S-TDT or the P-TDT. In order to include data of these studies, as a sole alternative, we will use a weighted version of the Stouffer’s method which uses the p-value of each study and a normal approximation (through the z-statistic). The weighting will be performed using the total sample size of each study. To estimate possible publication bias, the rank correlation method of Begg and Mazumdar, and additionally the fixed effects regression method of Egger will be applied. Influential meta-analysis will be performed by removing an individual study each time and re-calculating the statistical significance. In order to estimate a possible time trend in the results over years, a bias called “Proteus phenomenon”, cumulative meta-analysis will be performed. Two methods will be used: a) the standard cumulative meta-analysis approach, where we visually inspected the plot and b) a more recently proposed, GLS regression-based method. In all analyses, STATA 13 will be used and results with p-value<0.05 will be declared considered statistically significant. Multiple testing adjustments will be performed according to Bonferroni and Holm methods.